Can you believe that the sound is heard through our bones? So this can be something new information to you.It can surprise you.So however we hope to explain today about Bone Conduction technology. So if you want to hear the sound, Your ear should be healthy.The sound is in the air around us, Sound is also a wave.And they're going in to our ears.Then goes to the brain.And then we can figure out what this sound is.This is the normal thing we know.So this Bone Conduction Technology is, A technique that can be heard without ears. Generally, the eardrum converts the sound like a vibration.So this Bone Conduction Technology directs the sound through our bones.That's to cochlea.So that's the simplest explanation.Now you have some kind of knowledge. You know, if you close the ears and talk, You hear it because of this Bone Conduction.We also know that whales communicate through these sound waves.In channels like Discovery, we have the ability to view the video.So, you do not even thing how the sound is heard without this air.However, the whale listens sounds with Bone Conduction. 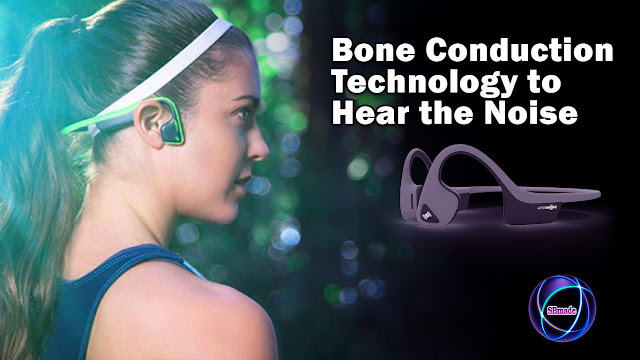 You already know the headset in the world using Bone Conduction Technology.And they are not directly related to our ear plugs, like the other headset.But it connects to the bones above the ears.We hear the sound because it's connected to our head.So the vibrate generator on the device helps us hear the sound. And even hats have been created using this technology.So they can be connected wirelessly to your smartphone. Later, you can hear sound.Also, these technologies have been used on spectacles.So, from there, this technique is being developed up to the watch we know best.This device has been turned into an even smaller ring.This can put the finger on your ear and then hear the sound.So now you have a good idea about this technology. Also, this technology allows us to hear only in person.It is also a good solution for issues like noise pollution.So with these technologies, we have many advantages.